WAREGEM, Belgium – Securing any kind of longevity in the music business isn’t easy. For one thing, retaining an element of continuity in the constant ebb and flow of musical trends often proves to be the downfall of many a band and musical movement. For The Oh! dance music club night in Belgium, however, a tried-and-tested formula of world-class DJ sets and a string of high-profile singles is proving to hold the key to its popularity and longevity, which recently reached the quarter century milestone. To celebrate 25 years of The Oh!, both old and new generations of Belgian dance music lovers were united in a recent anniversary party that reflected all of the excitement and energy that have made the club famous. Tasked with providing energetic visuals for The Oh! once again was Belgium design house CRS Rental Solutions, which designed an immersive stage set-up with a CHAUVET Professional rig that included 32 STRIKE P38, 12 Maverick MK2 Spot, 19 Rogue R2 Wash, 46 COLORdash PAR H12IP and 24 Rogue RH1 Hybrid fixtures. 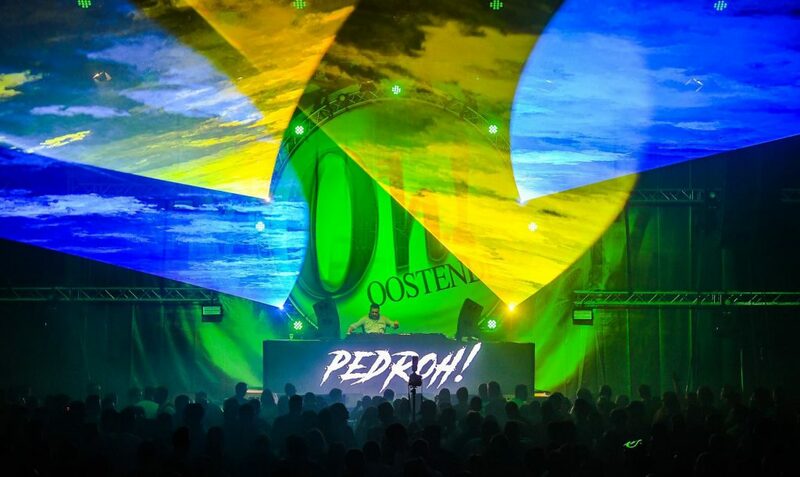 In order to build the visual centerpiece upon which artists such as Frequencerz, Subsonik, Sound Rush, Sub zero project, Partyraiser and Pedroh! and could perform, Thomas Vandekerkhove and his team at CRS peppered the rigging structure above the stage with the STRIKE P38 fixture. As a result of the combination of audience blinder and strobe, the punchy 90W warm white LED source was on hand to elevate the EDM DJs taking to the stage by evoking that classic feeling of ’90s dance parties.